The 2008 Formula 1 World Championship saw a repeat of the historic duel between Ferrari and McLaren. The Maranello-based team was led by the in-form Felipe Massa with Lewis Hamilton, his closest rival. It was, of course, Hamilton who took the Drivers' Championship, with Ferrari settling for the Constructors' title. The Polish driver Robert Kubica also enjoyed a very productive season that saw him score a maiden Formula 1 win for BMW in the Canadian Grand Prix and finish high up the championship table. Mention also has to be made of the very young Sebastian Vettel, the winner at Monza in the Toro Rosso. 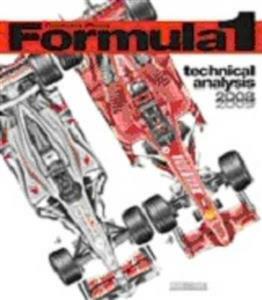 Once again the expert Giorgio Piola recounts and, above all, illustrates the secrets and technical advances behind these feats in the 2008-2009 edition of "Formula 1: Technical Analysis" in which he examines the various development phases conducted by the teams during the championship. The chapter devoted to the engines, written by Mauro Forghieri and Mauro Coppini, and those dealing with the regulations, tyres, aerodynamics, cockpits and chassis complete what has become a 'classic' of Formula 1 literature. As always, an extensive section devoted to the leading cars of the 2009 season enhances the book.